Maidenhair Fern - Unique to native ferns, the Maidenhair has a graceful, fan like pattern. In spring the fiddleheads appear a burgundy red, with the fronds appearing darker green in color. 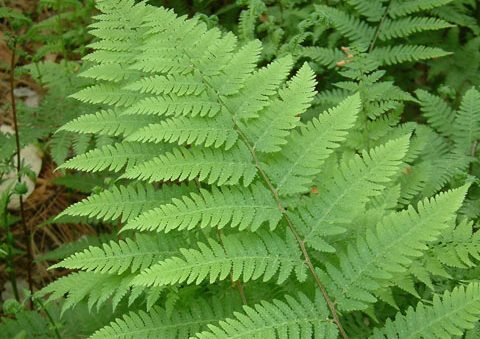 The Maidenhair Fern can be easy to grow if given the right growing conditions..
Lady Fern - This fern may appear to be dainty because of its finely toothed leaflets, but that is just an illusion, the Lady Fern reaches 2-3 feet tall. 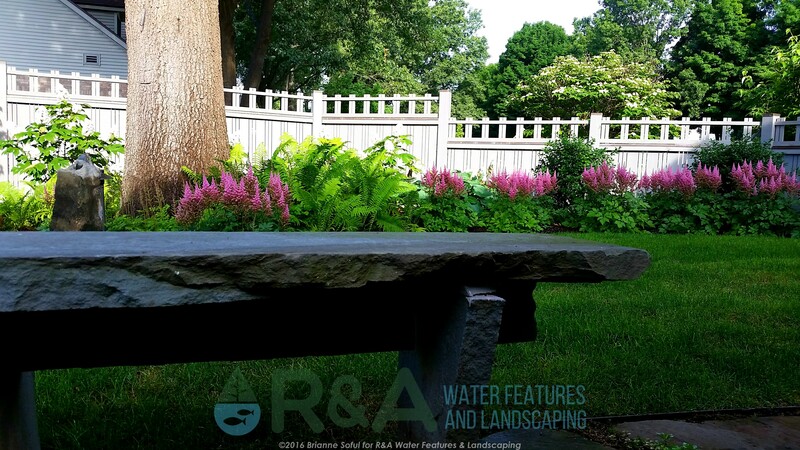 The stems are greenish-yellow to red, it is a highly variable in appearance and can adapt to many growing conditions, but prefers shade to part shade. Cinnamon Fern - The Cinnamon Fern is quite large, it can reach heights of 6ft. 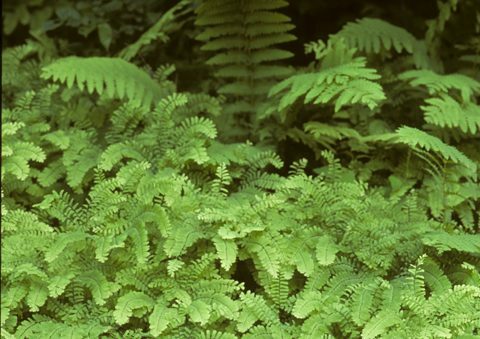 This height includes the brown cinnamon colored fronds, which spike up from the middle of the fern. 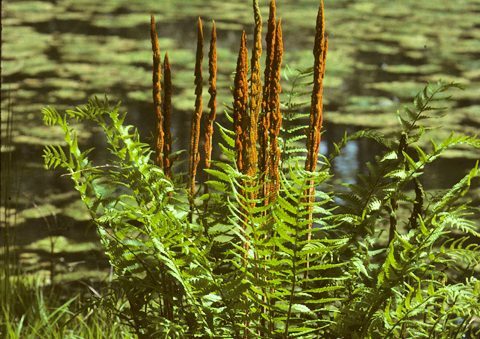 It is fairly adaptable, the Cinnamon fern generally likes moist soil, but would also grow in standing water if in full sun.